Sam is a monster movie buff who lives with his grandmother. He has a best friend in the girl next door, but he's always felt like an outsider. One day, when Sam asks his grandmother for a Dracula figurine, she suggests that he write to Santa to ask for one as a Christmas gift. 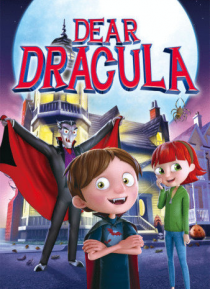 Sam, however, has a better idea - since Halloween is around the corner, he's going to write to Dracula instead!